Jason is a native of Nashville and has been a resident of Williamson County for over 15 years. Jason displays professional management and leadership skills and has a solid core set of values based on honesty, integrity, attention to detail, and hard work. As the Principal Broker at Southern Life Real Estate, Jason has partnered with a select group of top agents that are experts in helping buyers and sellers with all things real estate. 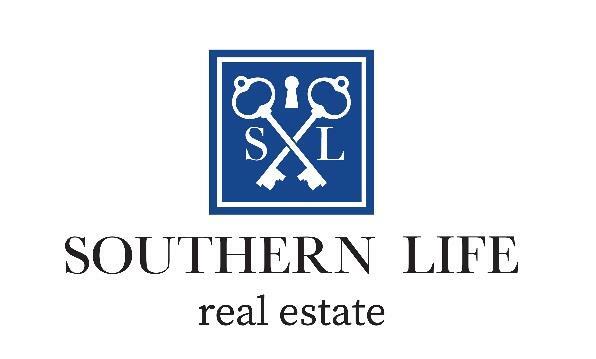 The team at Southern Life Real Estate have over 60 years of combined experience and sold over 140 homes in 2017. As your personal Realtor, Jason has a wealth of knowledge about all areas of Middle Tennessee including its neighborhoods, communities and schools and loves helping buyers and sellers with all of their real estate needs. As a multiple year Greater Nashville Association of Realtors award winner, Jason is in the top 1% of all realtors in Middle Tennessee and is affiliated with the an elite group of professionals at Southern Life Real Estate. Jason is married to Julie with two sons Braden and Logan. He is actively involved volunteering in the community and has served in roles as the executive director on the Nolensville Recreation Board, director and President of the Nolensville Youth Football Board, as well as Chair of the Nolensville High School Athletic Committee. He also coached youth sports in Nolensville since 2007. As a parent, coach and director he values youth sports and community involvement. In his spare time, he can also be found enjoying the outdoors, golfing, hunting, or attending Vanderbilt sporting events and Tennessee Titans football games. Jay was born in West Monroe, Louisiana and moved to Nashville in 1997. He started practicing real estate in 2005 after spending many years with Dell Inc. Jay has been the recipient of several awards from GNAR and Re/Max International. As a family man, Jay loves helping people find that perfect home. Whether it is a first time buyer, someone wanting to relocate, an experienced seller, or an investor; he feels it is important to share his passion for real estate and the Nashville area to everyone. Jay is married to Melissa and has three sons. They are members at Brentwood Baptist Church. He enjoys snow skiing, playing tennis, going to the beach with family, and watching NFL and SEC football in his spare time. Before Van Calhoon undertook his real estate career, he successfully operated his own small business, followed by several years of service in the health insurance business where he negotiated pricing and contracts with hospital providers. Van’s real estate career began in Central Florida in 1996 where he earned awards for Multi-Million Dollar sales in his first full year of business. In 1999, Van relocated to Middle Tennessee where he began working as a Buyers Agent. Since that time, he has consistently represented more buyers in Middle Tennessee each year than any other real estate agent in the area. Since specializing in representing Buyers, Van has devoted his continuing education and attention to the needs of Buyers in an ever-changing market. His experience in representing approximately 100 buyers per year has made him the number one buyers agent in Middle Tennessee and an invaluable asset to Southern Life Real Estate. He will be happy to put that experience to work for you as you consider the purchase of your next home. Matt moved to Tennessee in the summer of 1999 from Florida and started practicing real estate just two years later. He specializes in buyer representation and is a member of the Greater Nashville Association of Realtors and is an Accredited Buyer Specialist. When he’s not selling real estate, Matt enjoys playing golf and snow skiing. Fo (Faozia) was born in Kurdistan, Iraq. Her family immigrated to the United States in 1992, while fleeing from the Saddam Hussain regime. Once in the U.S., her father decided to make Nashville, Tennessee their home. Fo is fluent in both the English and Kurdish languages. She graduated from Glencliff High School before advancing her education at Trevecca Nazarene University and Aquinas College. Fo is a “people person” who enjoys meeting new people. Over the past four years, Fo has been employed at First Watch restaurant. During her time there she has become a role model to new employees and is a favorite amongst the regulars. Fo was introduced to the idea of becoming a real estate agent through some of the customers she had built relationships with. After giving the idea a lot of thought, she decided to go for it. Fo is extremely excited about the opportunity to put her people skills to work in the real estate industry and we are excited to have her on our team! Shannon is a native Nashvillian, having lived in Davidson County most of her life. She grew up in Green Hills and attended Brentwood Academy. She graduated from the University of Tennessee in Knoxville with a degree in psychology. Upon graduation, she returned to Nashville and began working for Daystar Ministries. She continued in the ministry working for Youth With a Mission, serving in Hawaii and overseas in the Philippines. For about 18 years, she served in leadership at several middle Tennessee churches while raising two children, Joshua and Anna Faith. Homes have been a passion of Shannon’s for as long as she can remember. She sold her first home For Sale By Owner in her 20’s and has since sold every home that she has owned. For a few years she was a real estate investor working with a contractor and flipping houses. Shannon particularly enjoys helping people find the right home to fit their individual needs. Her patience, ability to listen, familiarity with the area and desire to serve make her an ideal agent to partner with. In her own time, Shannon loves talking walks, going to the beach and spending quality time with friends and family. She also enjoys enjoy playing tennis, SEC football, and shopping at Antique stores and Flea Markets for great deals. Marvin was born in Knoxville, TN and moved to Nashville in 2009. Relocating to Nashville after living in SC for several years. He started working real estate in 2014 and loves working with people to find the perfect home for their needs. Whether working with first time buyer, someone wanting to relocate, or an experience seller, he works to make every transaction as smooth and fun as possible. Marvin is married to Rachel and they have a 6 year old Pug. They are active at Brentwood Baptist, where he is also a Deacon. Marvin loves football, basketball, and snowboarding. He loves SEC football and Duke basketball and loves watching his team anytime he can. Lucas belongs to a group of people that seems to be growing smaller by the day...people that are originally from Nashville. Before becoming a Realtor Lucas spent nearly 10 years working in the medical field, the majority of that time providing direct patient care. Now Lucas helps people with the biggest purchase of their life and cannot see himself doing anything else....other than being a pro fisherman. Lucas has been extremely privileged to be able to partner with two phenomenal agents, Van and Matt Calhoon, to form a very successful team. Learning and working with these two has given Lucas more knowledge and experience than most agents get in their first 10 years. Chip has been involved in the business of real estate, both as an agent and investor, for over 10 years and is dedicated to creating outstanding solutions for every real estate transaction placed before him. Chip consistently displays expertise and professionalism as exhibited through both the “Realtor” and the “Accredited Buyer’s Representative” designation, and his continued longstanding membership in the Greater Nashville Association of Realtors. As a devoted family man and longtime citizen of middle Tennessee, Chip truly believes in the power of helping families locate and purchase the perfect home, thus strengthening our local neighborhoods and communities through growth and prosperity. Chip is passionate about improvement and the development of business processes as he furthers his client’s interests, which has allowed him to engage in over 30 million dollars of real estate transactions within the last 24 months. Before devoting his work fulltime to Real Estate, Chip developed a unique perspective on business by spending time in both the entrepreneurial and military arenas. Upon graduating from Vanderbilt University, he originally started his career as an officer in the United States Marine Corps and served at the rank of Captain with distinction in active military conflicts, including the Afghanistan campaign. Since leaving the Marine Corps, Chip has become engaged full-time as a real estate professional, putting his knowledge at work to successfully represent his clients. In addition to being a full time real estate professional, Chip is a family driven husband and father of 3 precocious children. Whatever precious few minutes remain in the week, Chip utilizes to remain active in various charities, organizations, and as an active member of his church. Andrew has been working with customers in various industries for more than a decade and is an expert at making each interaction personal and enjoyable. From selling books to troubleshooting phones or using business analytics to identify data trends, Andrew knows how to find what is most important to you and then deliver it. As a corporate trainer, Andrew discovered the thrill of helping others discover what matters to them and then achieving that dream together. Owning a home is one of the biggest dreams one can have, but getting to that point can be complicated and intimidating. That’s where Andrew excels - by the time your deal closes, you will understand everything that has happened during your hunt for the perfect house and you'll be confident that you have achieved the maximum value for your dollar. When he isn't working with a client or learning more about the ever-changing Middle Tennessee real estate market, Andrew can be found down in Spring Hill enjoying a good book, writing, or watching the latest movie at the theater. Ryan is a Nashville native, who grew up and has been a resident of Williamson County for more than 26 years. Growing up, Ryan was raised to always put others before himself and that was something that became normal and natural to him. Before Ryan began his real estate career, he worked as an Emergency Room Registered Nurse. Ryan shared some of the most personal and most challenging moments with his patients and their families. Working as a nurse gave Ryan the opportunity to protect the best interest of the patients he served, assisted them in making informed decisions, and helped simplify the often frightening and confusing health care system. His experience, training, and skills he used and learned as a nurse, is simply an extension of himself and he carries it over into his real estate career. Whether his clients are buying or selling, Ryan will always advocate for them and have their best interest at heart. Ryan is active at his church, The Belonging Co., located in downtown Nashville. He enjoys running, camping, snow skiing, and spending time with his family, friends and his 160 lb. English Mastiff. J.D. was born and raised in Knoxville, TN, where he attended the University of Tennessee. After graduating with a degree in Sociology, he moved to Nashville and began his career as a police officer. Throughout his time being a police officer, J.D. was able to learn the importance of problem solving and listening to people’s needs. That knowledge gained is now just as important because J.D. can tailor his needs to each individual client so you can receive the best service possible. When J.D. isn’t helping you with your real estate needs, you will find him spending time with his wife, Leigh Ann, and two children Evan and Grady. J.D. enjoys any activity outside such as golf, baseball, flying and anything related to the University of Tennessee! J.D. looks forward to helping serve you in your real estate needs. Please feel free to call or email with any questions you may have.